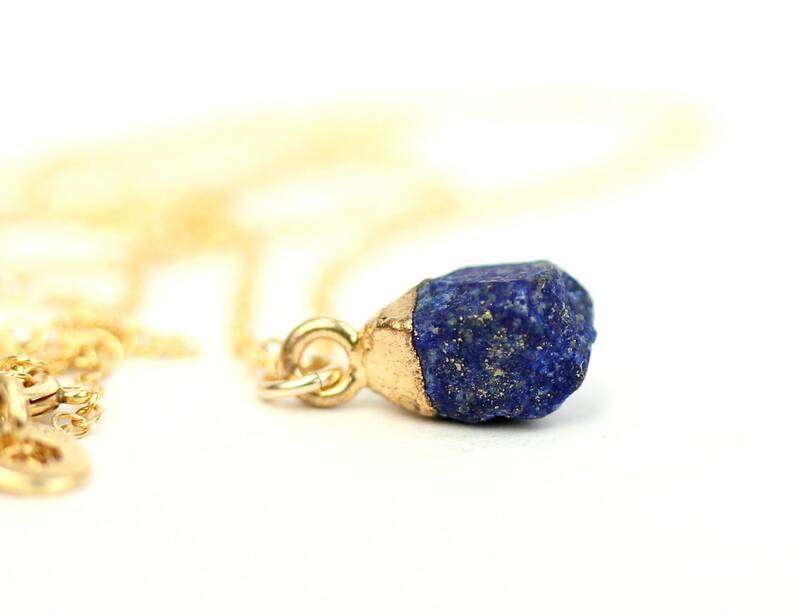 A one of a kind, gold vermeil topped, raw lapis nugget hanging from a 16 inch 14k gold vermeil chain at the length of your choice! Please choose your favorite stone as shown in the third photo. Need a few reasons to love Lapis Lazuli other than for its beauty? 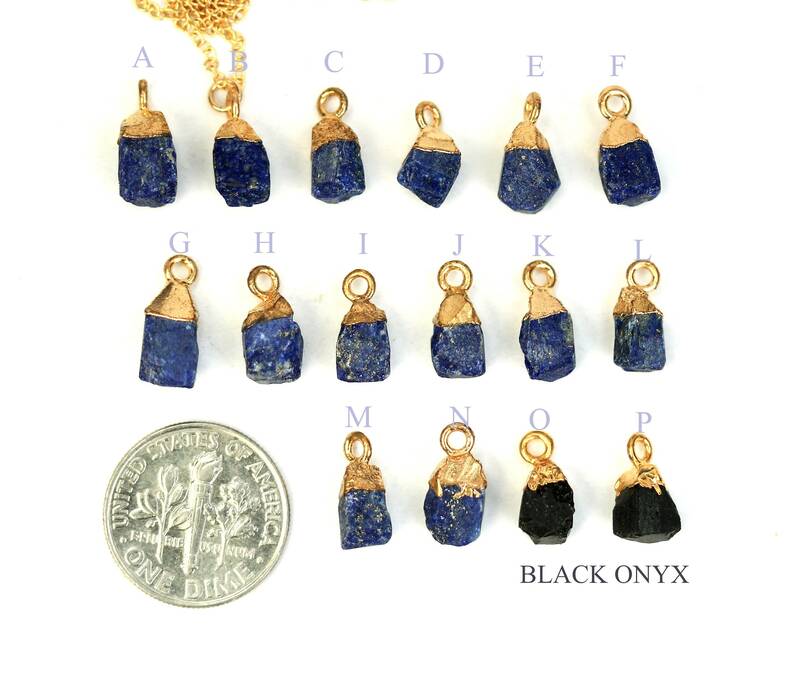 Lapis Lazuli is a combination rock type of Calcite, Lazurite & Pyrite. Lapis Lazuli is a 9th Anniversary gemstone. Its is a stone of protection that may be worn to guard against psychic attacks, Lapis Lazuli quickly releases stress, bringing deep peace. It brings harmony and deep inner self-knowledge. Encourages self-awareness, allows self-expression and reveals inner truth, providing qualities of honesty, compassion and morality to the personality. Stimulates objectivity, clarity and encourages creativity. 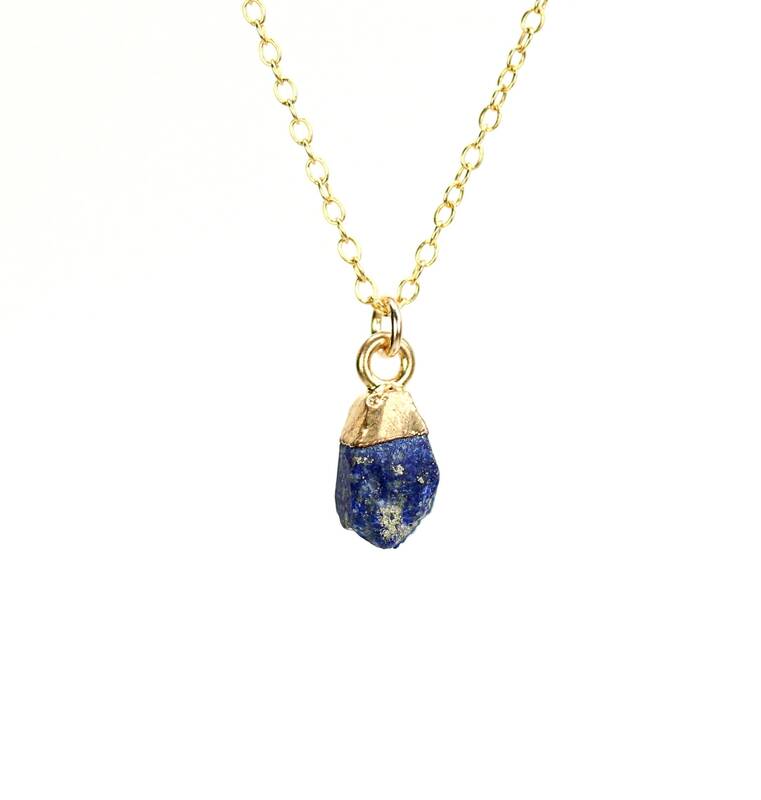 Lapis Lazuli assists to confront and speak one’s truth and inspires confidence. It bonds relationships, aiding in expression of feelings and emotions.